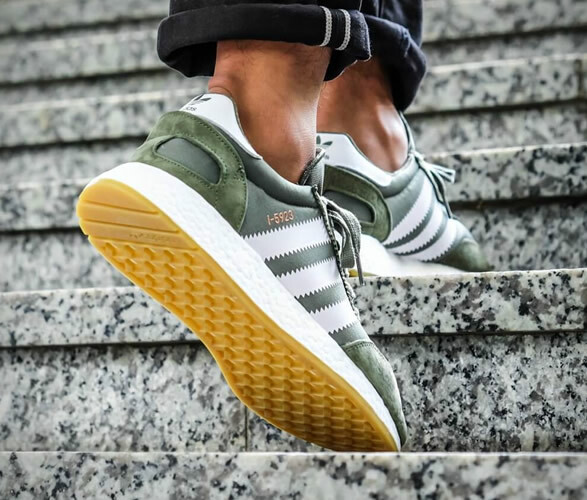 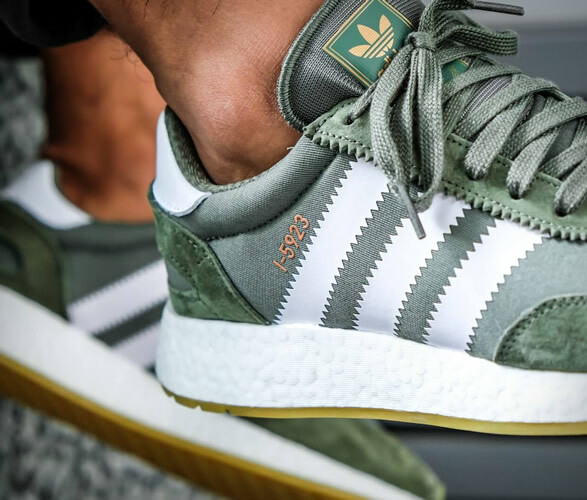 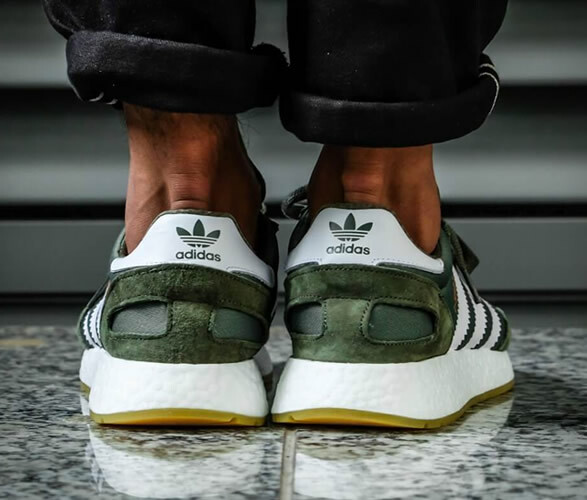 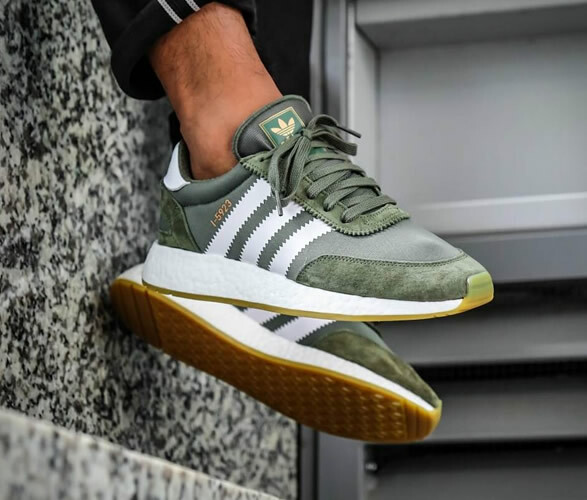 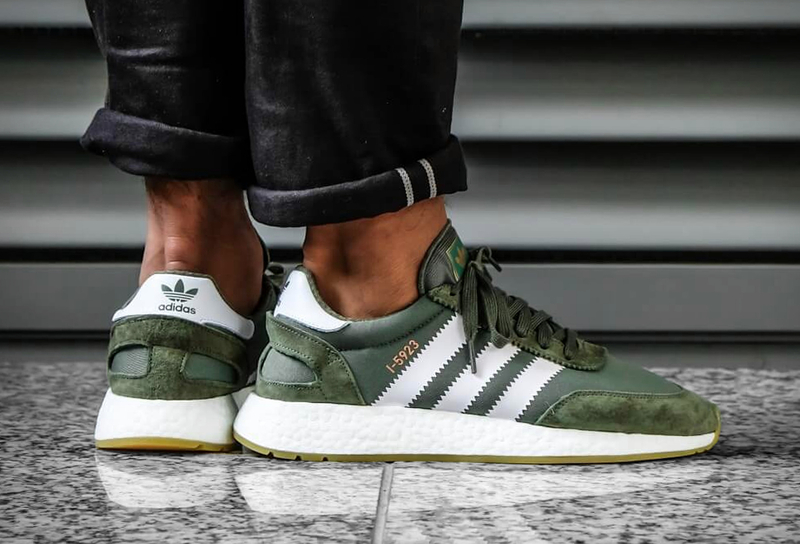 Rebranded as the Adidas I-5923 after a life that began as the Iniki Runner, this new silhouette from the three stripes is introduced in a cool olive green iteration. 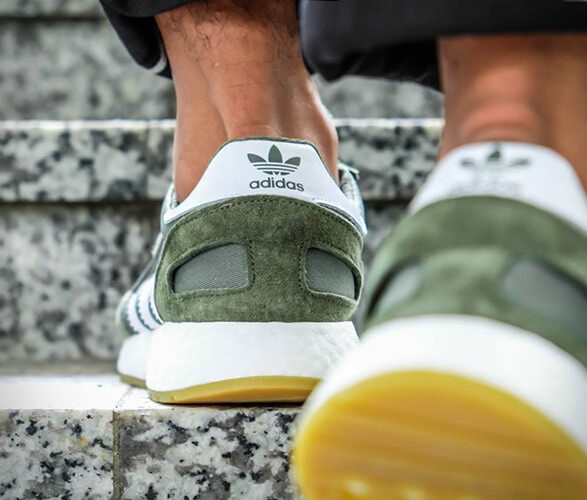 The retro-fitted Boost sneaker fuses heritage lines with modern engineering, it features a knitted mesh construction with premium suede overlays and a full-length Boost midsole in white. 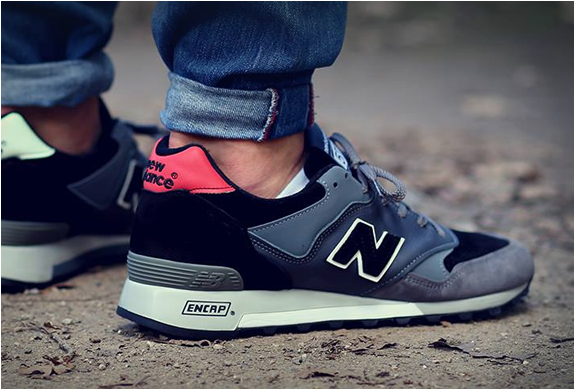 Golden branding balances the look for a clean, modern design.